CTET Hall Ticket 2018, Admit Card Download for 9 December Exam – Central Board of Secondary Education will soon release the Online Admit Cards or Hall Ticket for Central Teachers Eligibility Test. 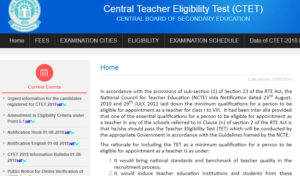 Board of the controller of examinations, CBSE, New Delhi has still not said anything regarding the exact date of release of CTET Hall Tickets on the official website www.ctet.nic.in. 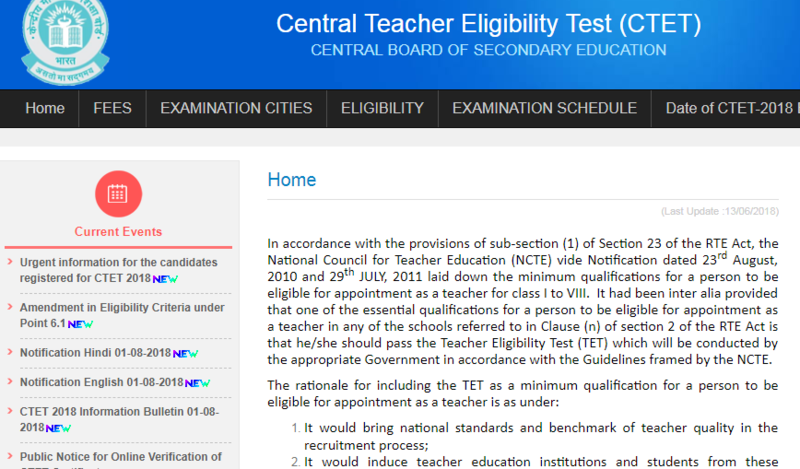 Almost with a gap of two years, Teachers Recruitment Board, Government of India has released these Application Forms for CTET. Prior to that, no form filling was done after CTET September 2016. Thus, the candidates kept waiting for CTET Feb 2017, CTET September 2017 and CTET February 2018. And finally, the official notification in the first week of August 2018 was released online for the conduct of CTET September 2018. Online Application Form under this recruitment was filled online from 1st August to 27th August online on the authorised portal. The Application Form filling or Registration Fees is Indian National Rupees 700 for General and other backward class category candidates only for Paper 1 or Paper 2. For those candidates of General and OBC category who are going to take both the papers, Online Registration Fees is INR 1200. Similarly, all those candidates of Scheduled Caste/ Scheduled Tribe and Persons with Disability who will take both the examinations, will be charged for Indian National Rupee 600. And, the candidates who will have Paper 1 and Paper 2 (only one of them) to take test, will be charged Indian National Rupees 350 only. Exam Date of CTET 2018: Will Written Test Be Held On September 16?